What has been the most empowering moment of your journey so far? Most challenging? Strangers will send me their selfie on Instagram talking about how I have inspired them to start wearing their hair natural and they are so surprised by their own hair and what it's doing! They say my posts have really helped them know what to do with their hair and where to start. That really empowers me to continue to believe in myself as someone who can help others in this journey, while I figure out my own hair. It's helped me realize you don't have to "know it all" before you begin to help others. How do you prefer to protect your curls at night, bonnet, scarf or satin pillowcase? I am a HUGE cheerleader for a silk pillowcase. It has been one of my most valuable purchases. I also wear a buff at night to preserve the definition in my curls, and that helps a lot. Buffs are also by far the most comfortable solution I've found. Oh gosh, so many! 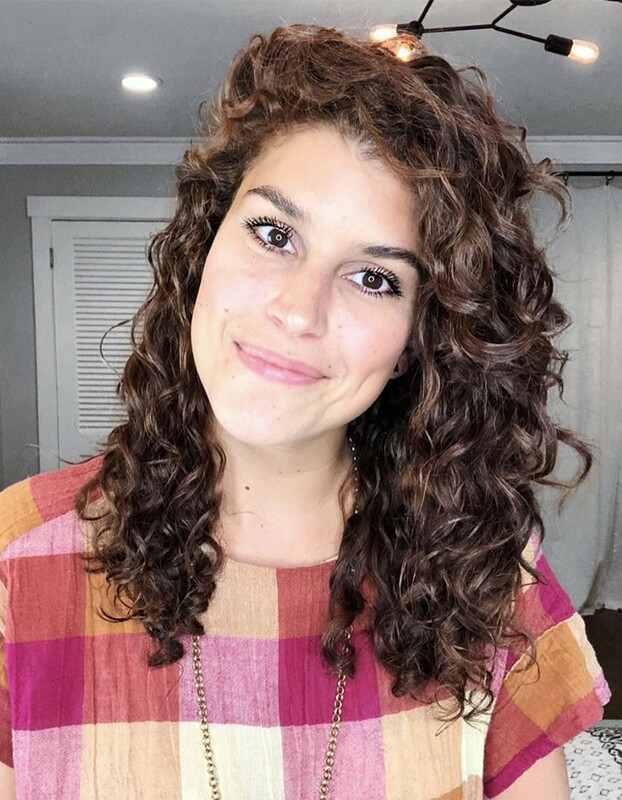 When I first discovered the Curly Girl Method I couldn't believe the community there was on Instagram! It's like its own little world! Everyone sharing details and techniques. It's crazy how you can feel at home with a bunch of strangers, simply because of your hair. It's amazing! 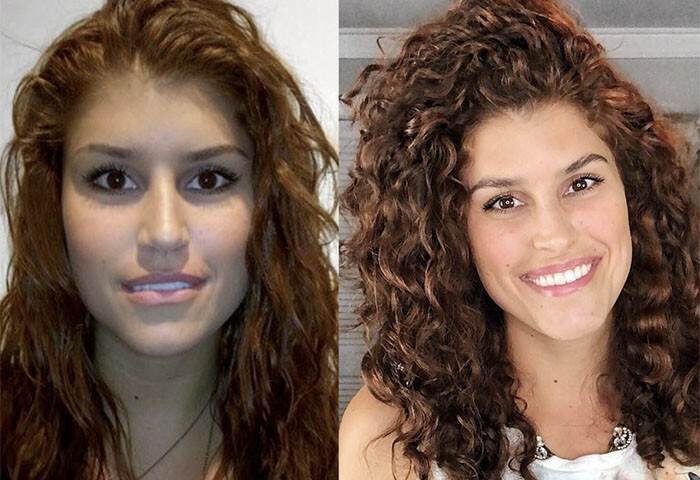 @dervscurls primarily for the shape of her adorable shaggy cut. @Lovelifecurls for her confidence in wearing short hair. @marina_curly_veggie for cute scarf styles and how to videos! What's your curly girl essential? Right now I live and die by a bandana or a scarf. My hairline has so much postpartum regrowth happening that a bandana really comes in clutch. I have like 5 of them that I'm currently rotating through, depending on what I wear. I simply fold the square fabric to mimic the shape of a headband, put my hair in a cute top knot, wrap the bandana around my head and tie it at the top. This is my go-to style when I am with my kids or being casual. Sometimes though (depending on the scarf) I can dress it up and wear it to work! Do you prefer to shampoo or co-wash? I am all about a cowash! When I go through old products that I used to use I can't believe how stripping they feel! I just can't stand them anymore. It's like a cowash has become my new normal, so anything with a rich lather makes my hair feel SO dry, especially on the mid strands and ends. I also like to use a conditioner or use a masque after I cowash. I am always trying new things, however, this combo is my favorite! I start with a cowash and a killer head rub. As I Am Coconut Cowash is my favorite. After I cowash, I either condition or use a masque. DevaCurl Melt into Moisture Masque and SheaMoisture Strengthen & Restore Treatment Masque are my go to's. I let the masque sit while I shower, then rinse it out with cool water. Then, I flip my head over and do a little bit of finger combing, but not a lot. Mainly squish to condish (with water) and praying hands to promote curl clumping. Then, I lightly blot with a cotton T-Shirt and start to apply my stylers. 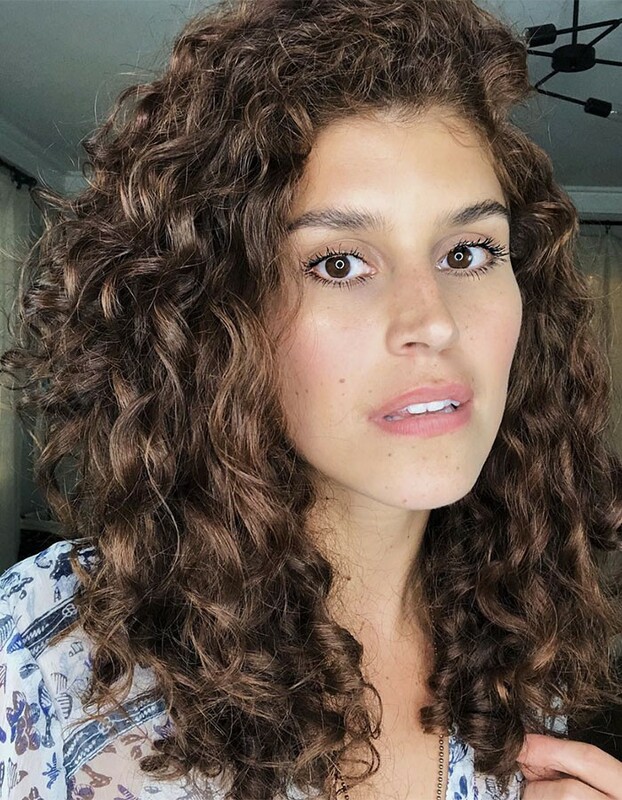 Some of my favorites are Lusbrands Wavy first, then apply DevaCurl Light Defining Gel or Bounce Curl Light Cream Gel by itself. Sometimes I apply more styling product when it's 50% dry (Smasters technique). I love diffusing with my Dyson hair blowdryer! Once dry, fluff my roots and SOTC (scrunch out the crunch)!